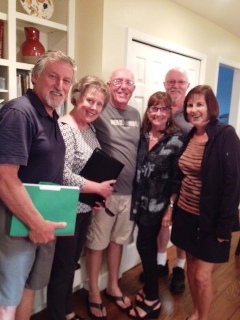 Your reunion committee has met and plans are underway for a 55 year reunion later in 2020! Yikes...55 years! I am sure that those of you who attended our 50th year reunion had a great time and experience so the 55th will be another opportunity for everyone to get together once again. The committee hopes to make this reunion even better and more fun than the last. Keep checking this web site for details which will be forthcoming as details can be finalized. 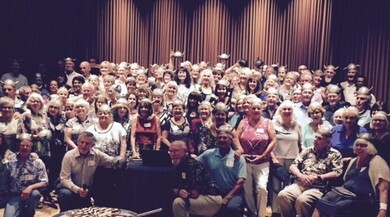 A HUGE thank you to everyone who attended our Montgomery High School 50th Reunion! Every person there contributed to the success of this fun and heartfelt event! Please add your photos from the Kickoff Night and Reunion Party to our website. Click on "50th Reunion Party" on the panel to the left and follow directions to post photos. They will not show up for a day or two, but will be there as soon as possible. After the wonderful success of our 50th Reunion, we like seeing how some classmates are continuing to keep in touch with each other. If you have not registered on this website, please do so now, which will allow you to remain in touch with fellow grads going forward. Remember to sign in so you can use the WHAT'S NEW link. Visit our IN MEMORY page to view written memorials and add your heartfelt comments to those you knew or wish to remember. And, in addition, let us know if a classmate has passed. If you can provide an obituary date or link, that is very helpful.